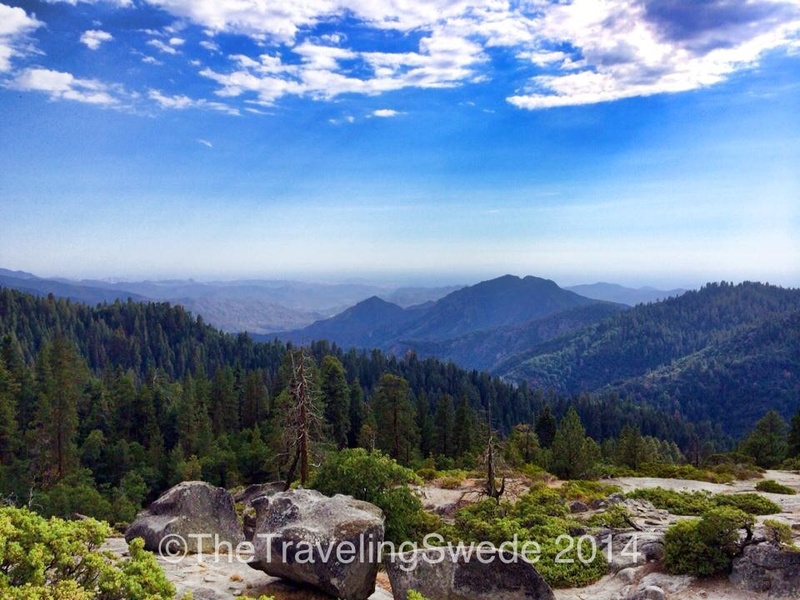 After an amazing time at Kings Canyon National Park it was time to check out Sequoia National Park. 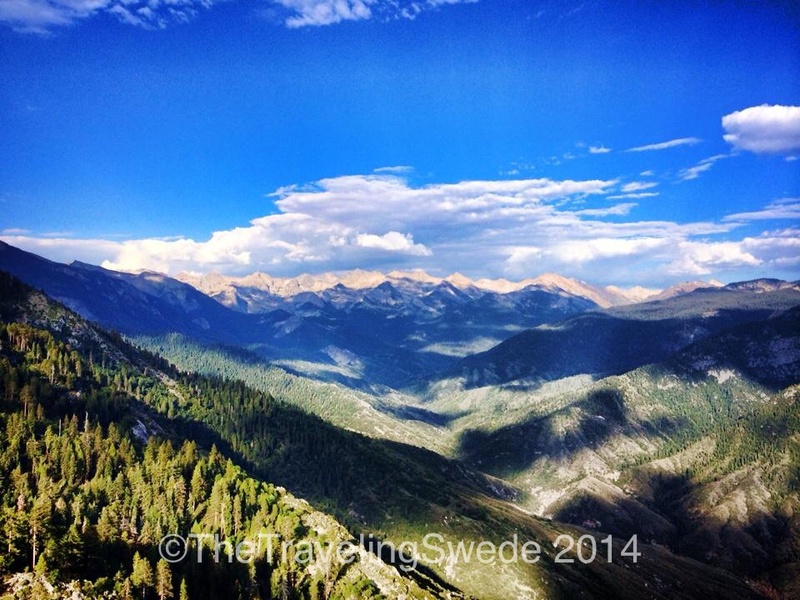 I had a hard time leaving Hume Lake and Kings Canyon but knowing what was ahead of me helped. 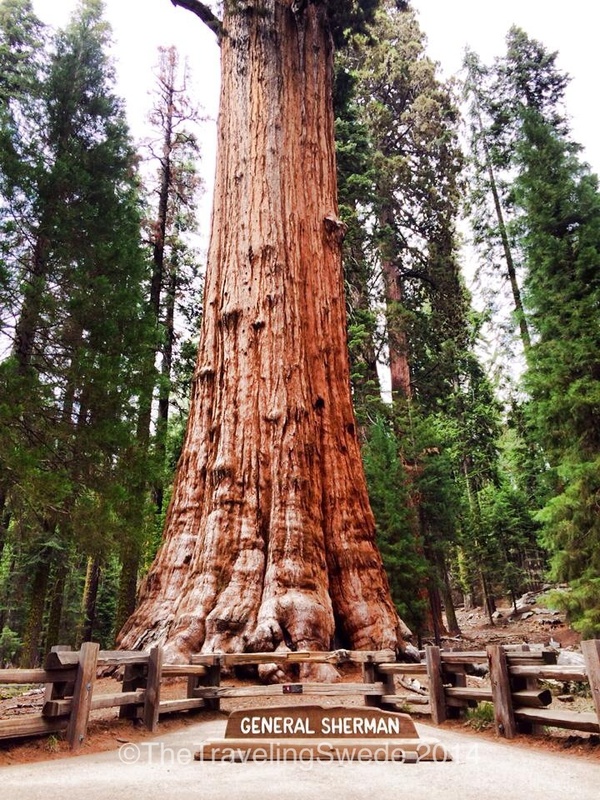 Plus it was time to check out the largest tree in the world: General Sherman Tree that lays in the Giant Forest area in the park and that is a whopping 275 feet tall and sports a trunk diameter of 40 feet! 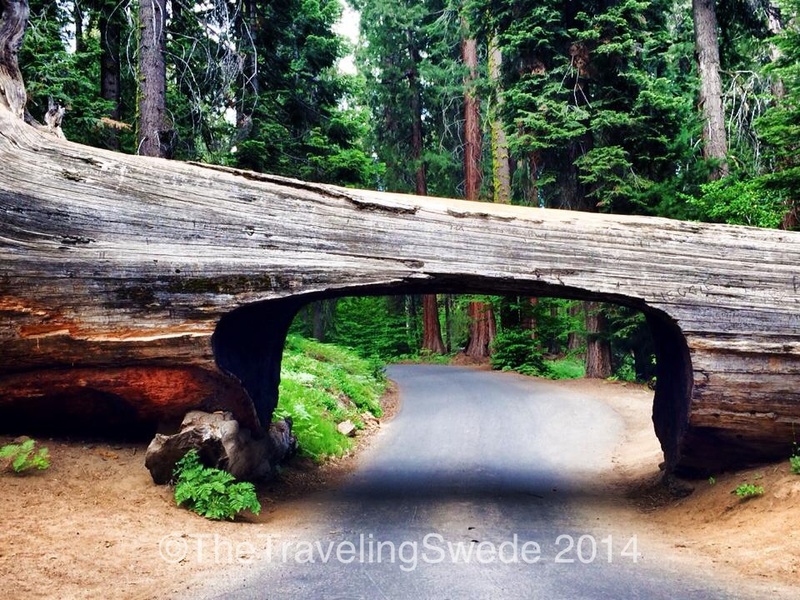 Welcome to Sequoia National Park. 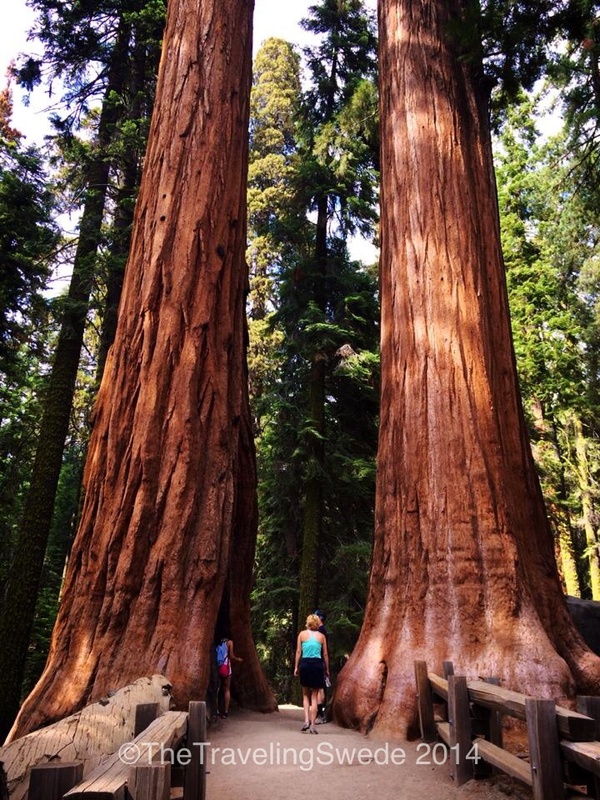 Sequoia National Park was the second park to be designated in 1890. 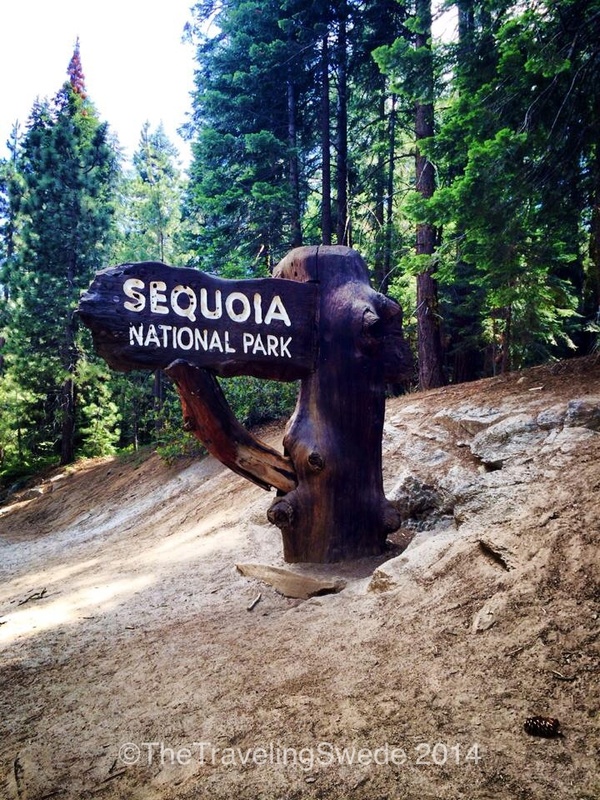 Sequoia National Park has various travel restrictions depending on your vehicle length so if you are pulling a trailer or drive an RV check with the park first. There’s a lot of tight turns going up and down mountain roads. 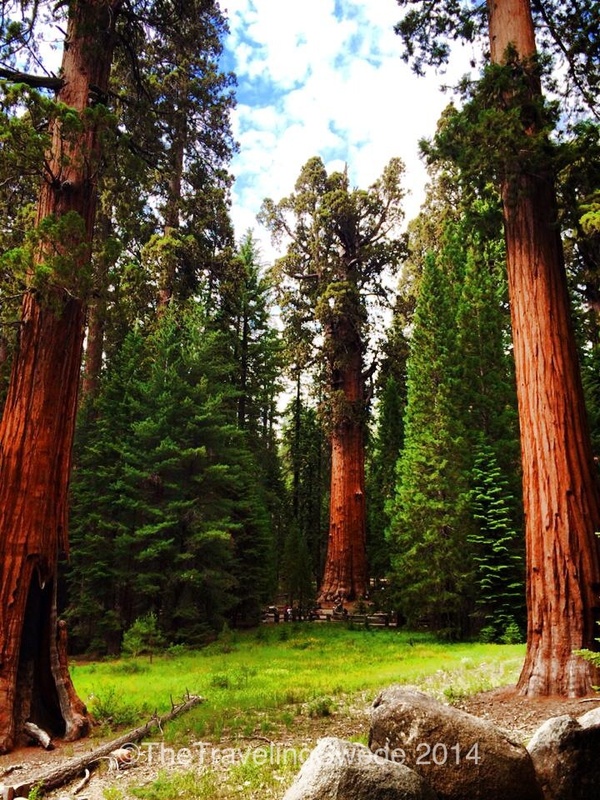 A groove of sequoia trees. Despite their size the root system only goes about 12-16 inches down but can span up to an acre. Many of the areas are fenced off to protect the root system close to the trees. 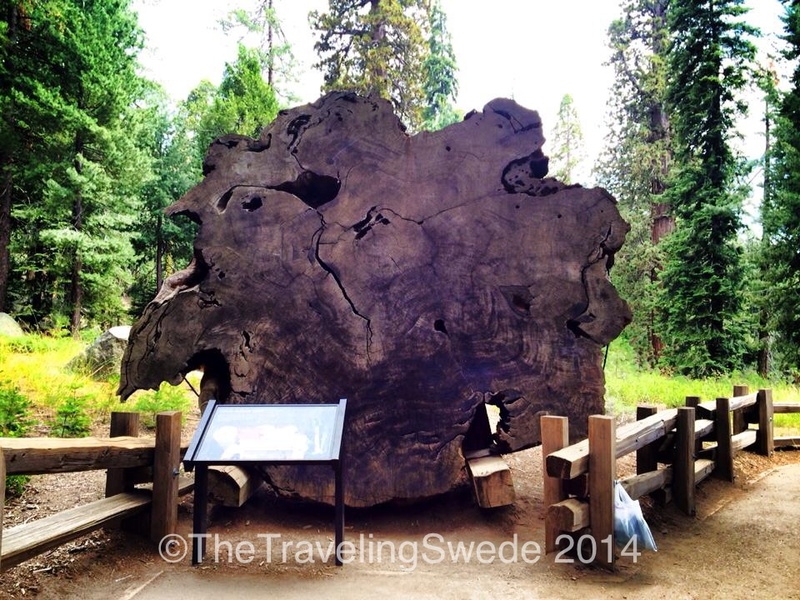 The giant sequoia trees are incredible. Not only are they so tall your neck hurts trying to look all the way to the top but the diameter of them – wow! Seeing them in person is a must. Coming into the park they are right there in front of you, along the road, in groups. And they are huge! A great representation of how big these trees are. Not only is this person tiny compared to the trees but I could only get half the trees in the picture. For many years forest fires were stopped in this park to protect the trees but it turns out forest fires are needed for the trees to stay healthy and to regenerate. The heat from a forest fire release seeds from the pine cone. The ash works as a fertilizer. In most cases a forest fire does little damage to the bark of this tree as it is really thick and only burns the outside of it. 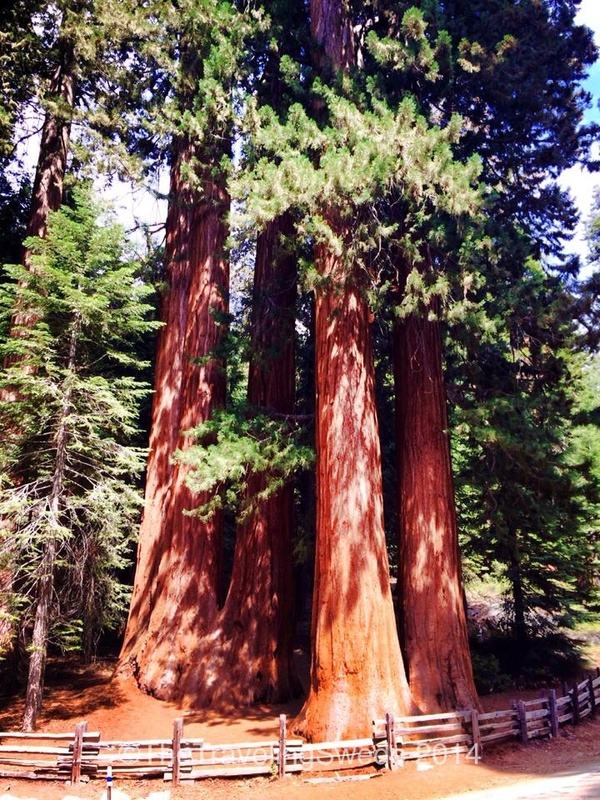 Some of the really old sequoias have bark as thick as 3 feet! 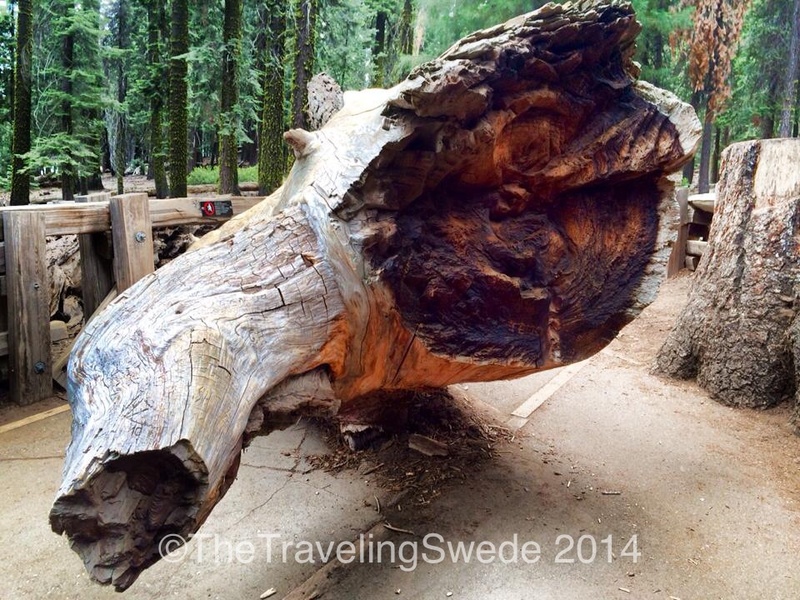 A fallen sequoia tree. I wish I would remember how old this tree was but definitely thousands of years. As you are walking the General Sherman loop from the parking lot (or the bus drop off) you can suddenly see the largest tree in the world in the distance. From this view is impressive but it’s still just a tree. Then you get a bit closer and you realize it’s pretty big! This is a broken branch that fell off General Sherman. Luckily it happened during the night. The branches are the diameter of a normal tree. 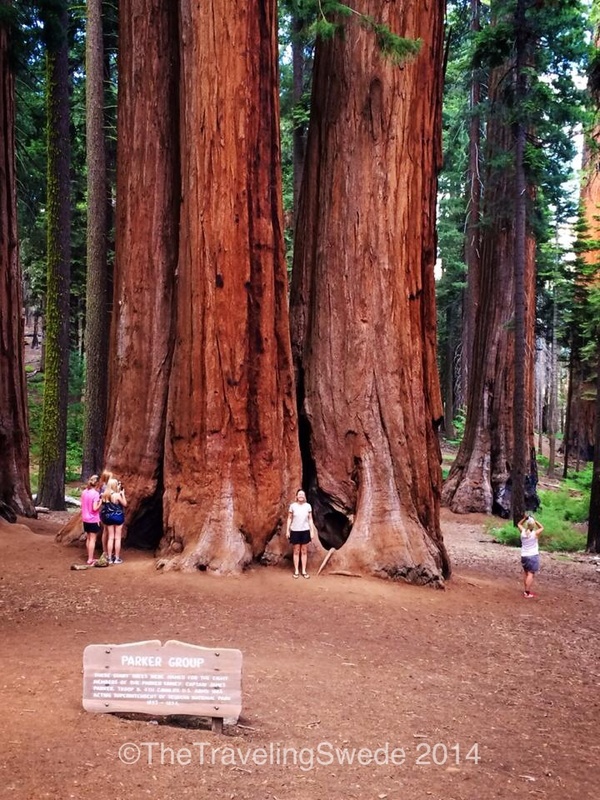 But Sequoia National Park is not just a bunch of trees. 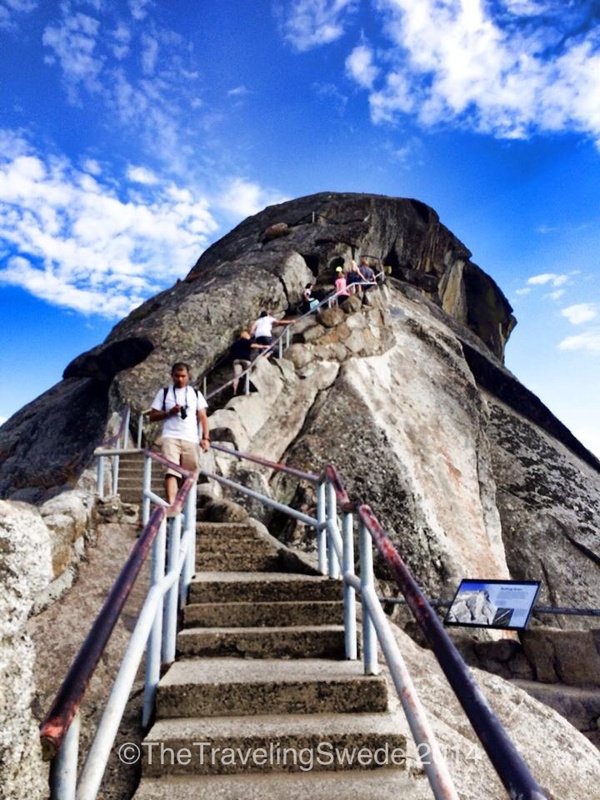 There are incredible views, vistas and a famous rock too. As you are driving south you have vistas on your right and giant trees on your left. Pretty cool! 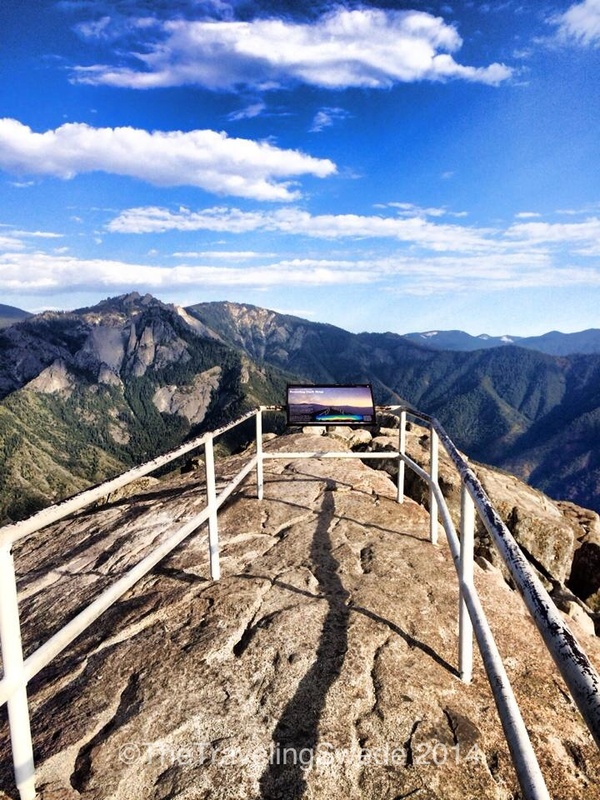 The hike up to the top of Moro Rock isn’t for everyone. 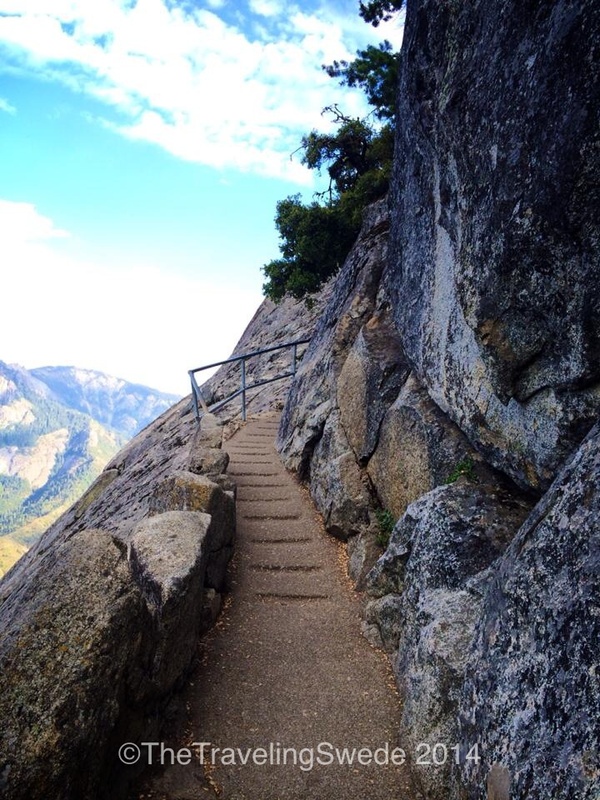 It’s a steep and fairly narrow, but safe, trail that consist of over 350 steps. It’s a fun trek up and down and definitely worth it. 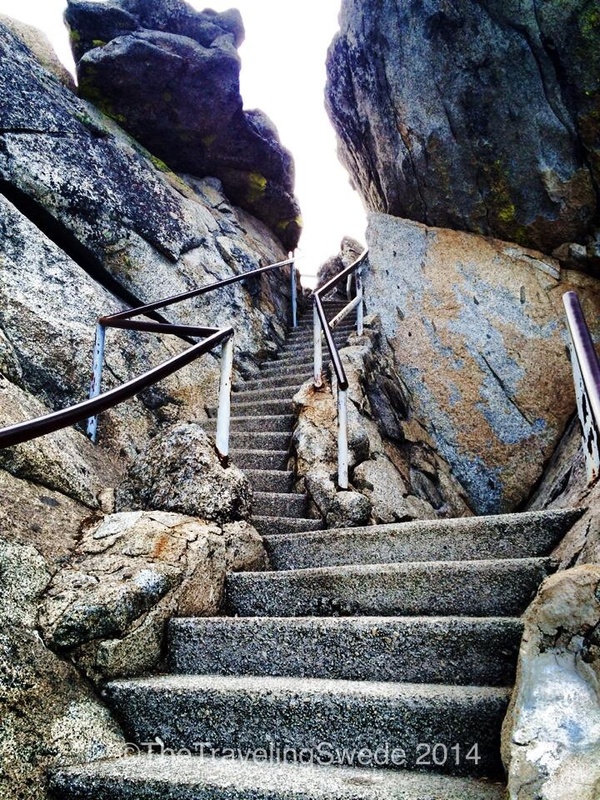 Let’s start hiking up a rock! Incredible. Countless amount of man hours went into this just so that we can hike up a rock. Way cool! 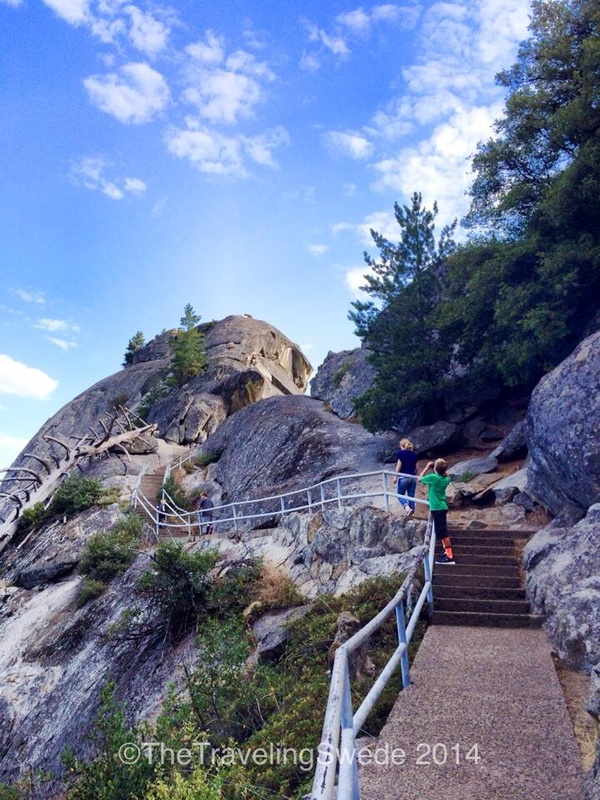 A few steps and counting…this rock impressed me as much as the giant trees. If you are afraid of heights then this may not be your thing. The rails are quite secure though. What a cool place to be! So worth the hike. Incredible vistas of the High Sierras. After a fun time at Moro Rock I decided to drive under a fallen tree. The only problem traveling solo is that you can’t take a picture of you driving your car under this tree. I saw big giant SUVs that still had a few feet to spare. But sometimes you luck out and there’s someone around to take a photo. That’s me standing in front of a grove of giant sequoias. The park in itself isn’t that big. You can easily do the entire park in one day although most people would want to have two days. I am known to move fast and cover a lot of ground when I travel. But if you only have one day you can definitely see most of the park. After a great day at the park it was time to move on. 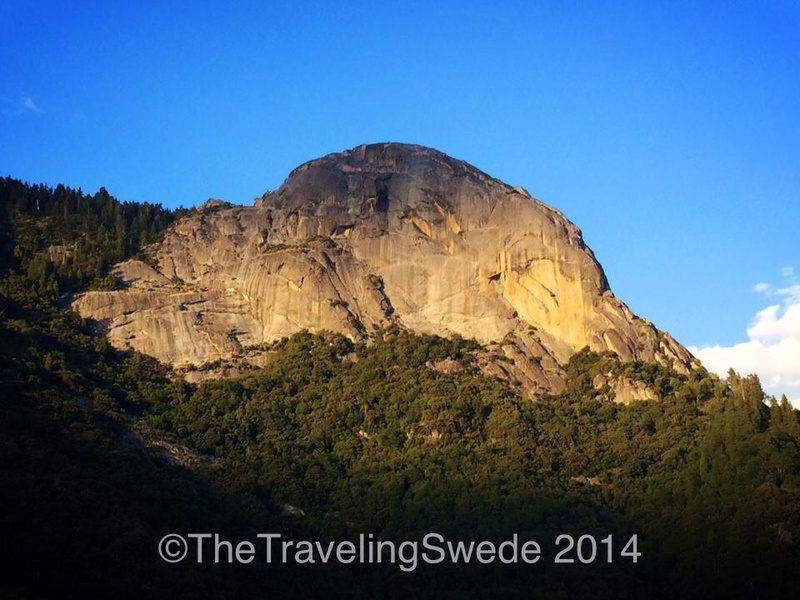 As I was leaving to descend into the valley I could see the Moro Rock from a different angle as the sun was setting. I always love looking back at places I was just at. 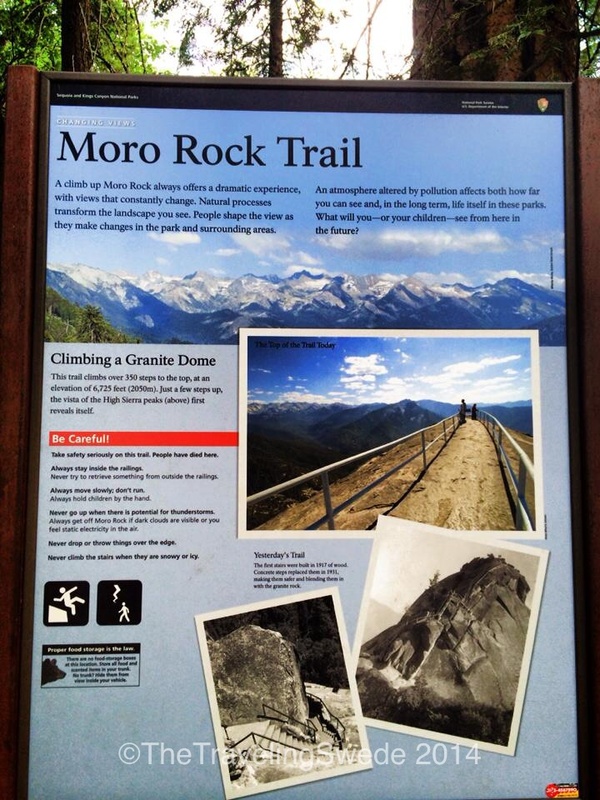 About an hour before this photo was taken I was standing at the top of Moro Rock. And then there’s nothing like a pretty sunrise to send you off once outside the park. I can’t remember the name of this lake but driving from Sequoia National Park to the valley floor this lake appears. I started the day with seeing a bear in Kings Canyon National Park, spent part of the day at Hume Lake and then ended the day seeing giant sequoias, climbing on top of a huge dome and getting to experience a beautiful sunset. 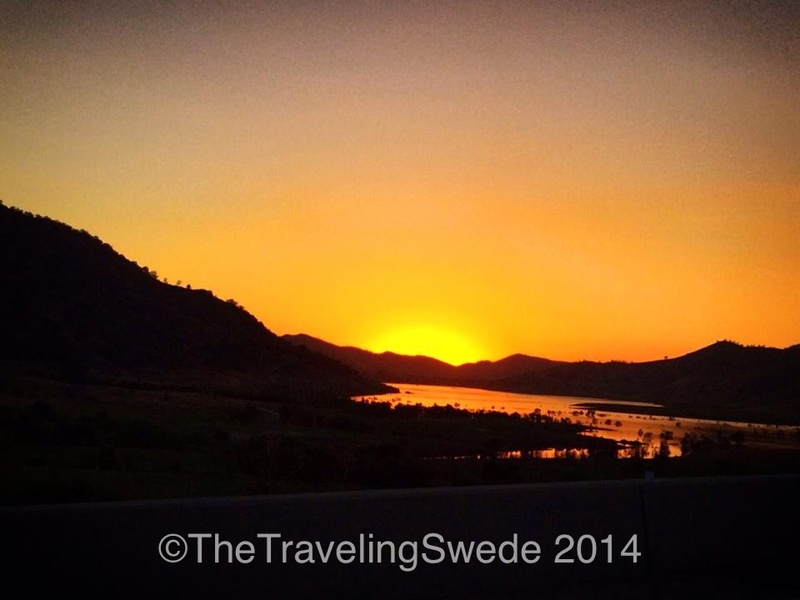 Life truly is better on the road!